Product Innovator’s intensive 2-day product management training course instructs on the product management lifecycle, and highlights processes & tasks that are essential for companies who are bringing new products or services to market, or who want to review a current product or service. 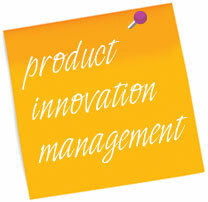 The Product Innovator approach is hands-on and practical. Exercises and discussions are based around the needs of the participants, backed up with templates and examples, so expect to return to your office armed with tools, skills and concepts that will have an immediate impact on your business. The cost of the course is €1,250. Group discounts also available.